I purchased The Brick Bible’s Noah’s Ark book early last month from Amazon together with the New Testament and Old Testament of The Brick Bible by Brendan Powell Smith. I was too excited to get a hold of the books but wasn’t able to find time to make a proper review. 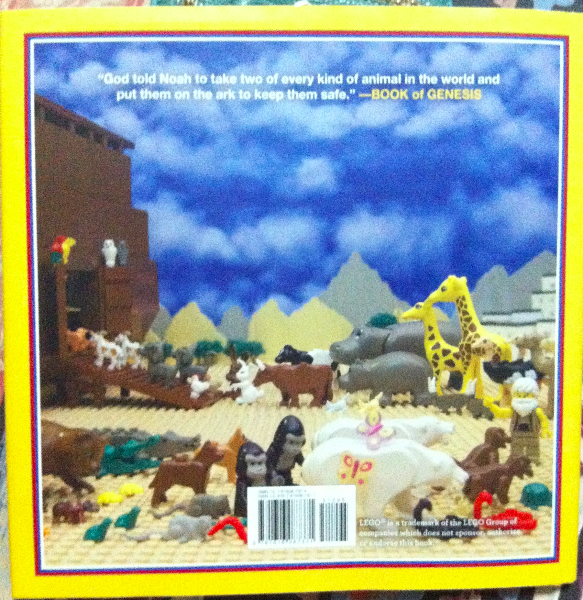 A number of friends told me to be wary of the books because of the numerous bad reviews specifically on the LEGO Bible: it’s very graphic, violent, and blasphemous. 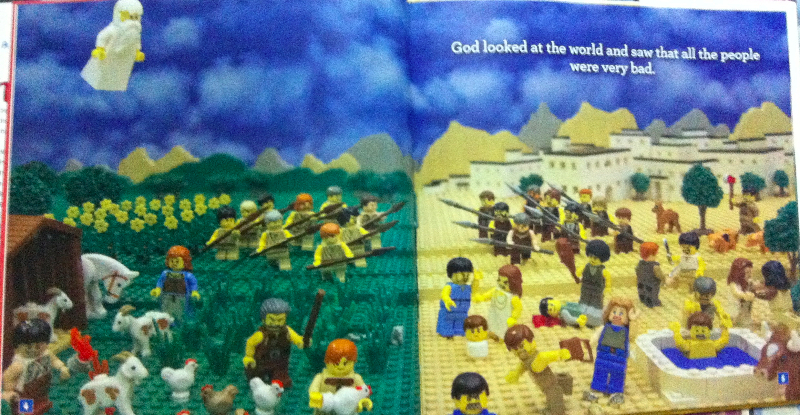 Because of the many mixed reviews, I became more curious since it’s another version of the Bible and upon reading a few pages of the New and Old Testament LEGO books, I discovered that some pictures are really not appropriate for kids. What is appropriate or not may be subjective but as a mother of a 3-year old, there are photos in the book I wouldn’t want him to see just yet. 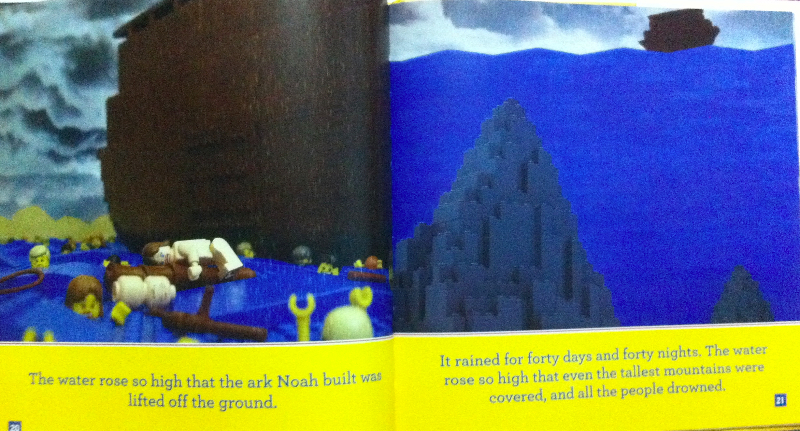 The Brick Bible is absolutely a new “spin” on the Bible stories written. It’s a graphic illustration of the many Bible stories that we have learned traditionally, with the use of LEGO bricks and mini figures. I haven’t finished reading the Old and New LEGO books because I gave my copy of The New Testament and the story of Noah’s Ark to my nephew (through his parents). The New Testament is for his parents’ review but the Noah’s Ark, I gave it to him directly as a birthday gift. 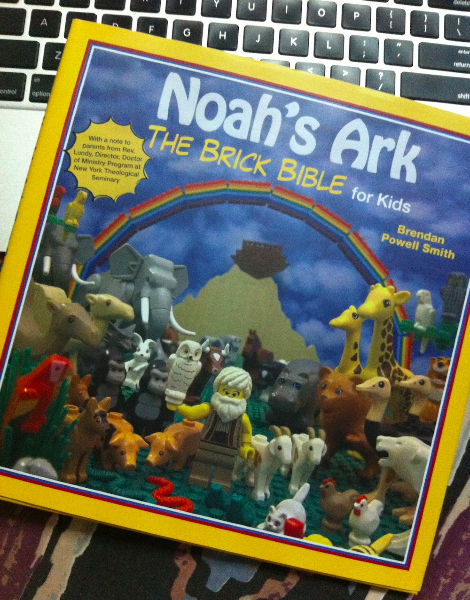 I’ll focus on reviewing the Noah’s Ark Lego book first since it’s the only one I’ve finished reading so far. 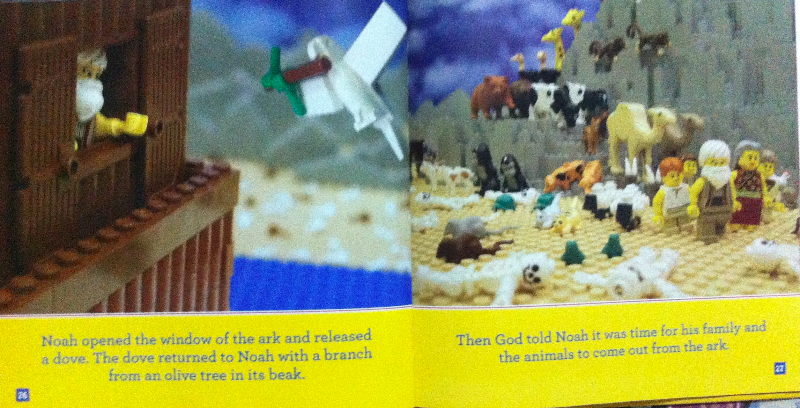 The Noah’s Ark book was Smith’s first published LEGO book. This one is kid-friendly—it’s a children’s book. I can say that this book is safe for the kids to read simply because it’s the famous story of Noah and the Great Flood. 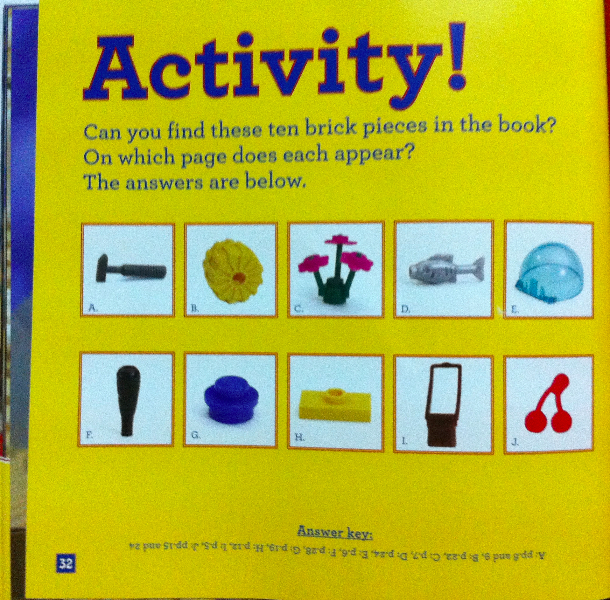 Anyone who grew up playing with LEGO bricks would appreciate Smith’s storytelling with the use of building blocks. What a great way to get the kids to read this Bible story. Rev. Wanda M. Lundy, Director, Doctor of Ministry Program at New York Theological Seminary wrote the foreword as a letter to the parents. I like the fact that Rev. Lundy explained the realities of life and that how the book could possibly make children ask many Why’s in the story. “Why did God make the people drown?” “Why would God kill people?” etc. If discerning adults could ask the same questions and are having a hard time answering them, surely, the kids will also have a hard time understanding the story. Parents have the tendency to shield their children from pain, hurt, and tragedy but while it is normal and the right thing to do, parents are also called to embrace the realities of life’s many joys and pains and be able to explain them to their kids. Rev. Lundy suggested many ways on how to read the book with children and use the time to communicate with them. Kids may have questions on the more difficult areas but it’s up to the parents to choose what to focus on. She further recommended that reading the book could be a good time to assure the kids that their parents will be there through bad times. The Letter to Parents’ page explains why and how The Brick Bible’s Noah’s Ark is appropriate for kids, contrary to some reviews and feedbacks. In my opinion, it’s up to the parents how to guide their children and be prepared to be asked many questions. I don’t know what else to say about this book but while I was reading, I could not stop saying “cute! cute!” because the illustrations are too cute. I guess it’s the novelty of the famous bricks being used to tell a story. Who doesn’t love LEGOs? You can buy directly from Brendan Powell Smith to get a signed copy of the book.